What a beautiful prayer for any Christian! In a world that is so self-absorbed, isn't it refreshing to be reminded of the powerful impact for good and bad that we can have? 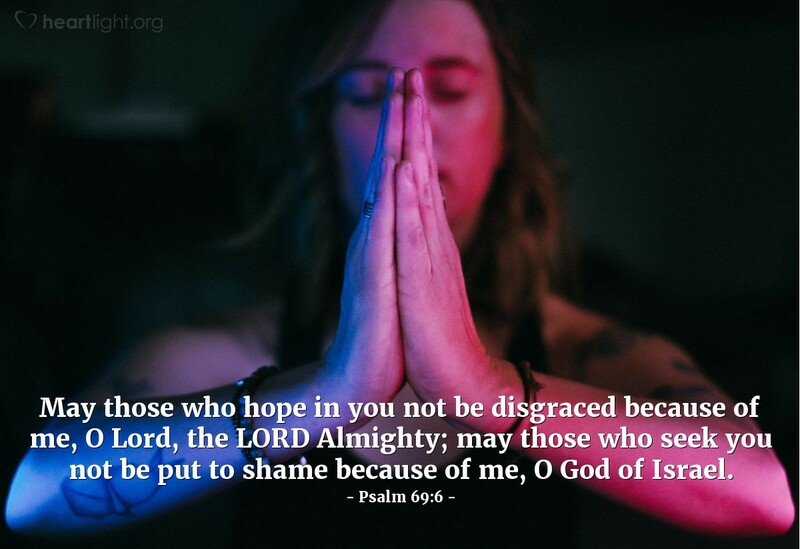 Let's not only be reminded of the devastating impact of our hypocrisy and rebellion, let's also pray that our failures will not be destructive to the Kingdom's increase nor to our brothers and sisters in Christ as they seek to serve and honor the Lord! O gracious and mighty God, I do not want to sin. I know it is rebellion against you and it breaks your heart. I do not want to sin because I know it diminishes me and makes me even more vulnerable to Satan's attacks in the future. I don't want to sin and bring disgrace upon your cause O God. And Father, I don't want to sin and be the cause of those seeking you to stumble. Please forgive my sins, but please Father, strengthen me and help me not stumble in my time of temptation. In the name of the one who conquered temptation and sin, Jesus Christ, I pray. Amen.